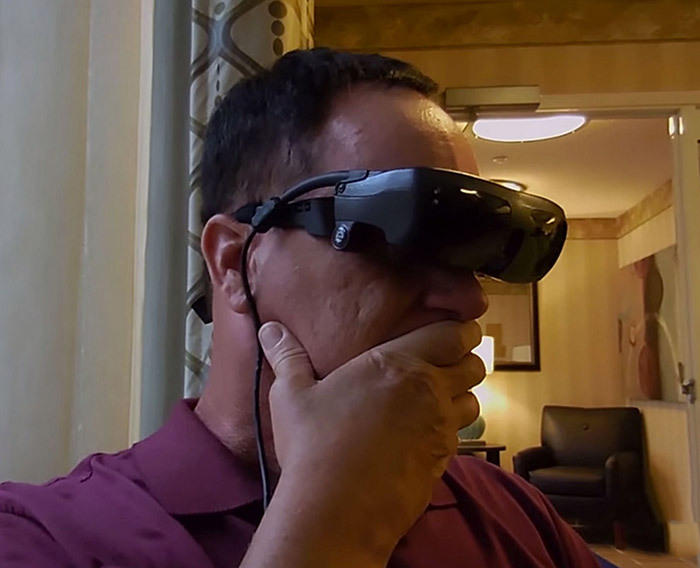 Mark Cornell, who became legally blind after serving in the US Air Force, was able to see for the first time in 20-years, thanks to a pair of high-tech eSight electronic glasses. This $15,000 device uses a camera and advanced computing to create real-time video that can be enhanced / magnified for people suffering from vision impairment. Continue reading for the touching video and more information.”While most legally blind individuals retain some very limited eye sight, often concentrated in their peripheral vision, their eyes do not receive an adequate signal for the brain to recognize what is being seen. This phenomena creates blind spots, blurriness, inability to detect contrast, and other symptoms that reduce vision. eSight eliminates or significantly corrects these impediments. The result is that people with low-vision that use eSight describe their symptoms falling away, revealing a world they otherwise aren’t able to see,” says an eSight representative.